The Grant W. Brissman and Virginia M. Brissman Foundation is a private foundation started in 2011. 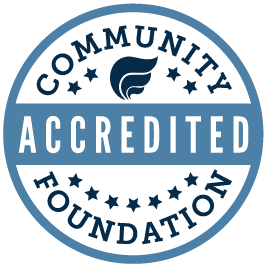 The Foundation distributes charitable funds to nonprofit organizations to help to improve the quality of life in the Village of Milan, Illinois. Grant Brissman was a graduate of Rock Island High School and the former Brown's Business College. He was a pioneer Milan business owner, starting Brissman's Auto Supply in 1948. The business served Milan and the surrounding communities for almost 30 years before he retired in 1978. He was also a founding director and shareholder of Blackhawk State Bank in Milan, where he served on the board of directors for many years. Virginia Brissman worked for Illinois Bell Telephone Company for 40 years before retiring in 1977. They had been married for 60 years when Grant died at age 88 in 2004. Virginia died at the age of 94. The foundation was established through their estates and the Community Foundation provides administrative and grant-making services for the Brissman Foundation. cultural activities, and to invest in ways to relieve the suffering of underprivileged people. It is the vision of the Grant W. Brissman and Virginia M. Brissman Foundation to honor the memory and to meet the charitable and educational objectives of Grant W. Brissman and Virginia M. Brissman in the Village of Milan, Illinois. Grants from the Grant W. Brissman and Virginia M. Brissman Foundation improve the quality of life in the Village of Milan, Illinois by funding work to enhance youth development, to foster community development, to support cultural activities, and to invest in ways to relieve the suffering of underprivileged people. The Brissman Foundation is a private foundation for which the Community Foundation provides administrative and grantmaking services. Youth development allowing young men and women to fulfill their potential including but not limited to education and vocational potential. If you’re a board member of the Grant W. Brissman and Virginia M. Brissman Foundation, you can access the online portal here.